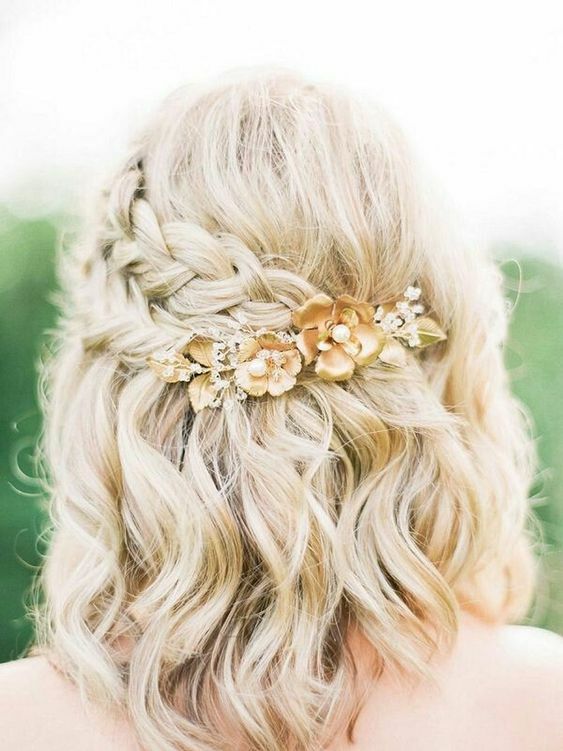 If you are a bride to be and a bit confused on what hairstyle you should go for on your wedding day, then fret no more, I have here some lovely hairstyles from which you can choose. We collected only the best ideas for half up half down hairstyles that would look perfect whether you are going for classic, boho or vintage wedding theme. A half up half down wedding hairstyle is a perfect option that offers something between a romantic updo and a fancy down do. The choice of the right wedding hairstyle is as responsible as the choice of a wedding dress.